Exactly one year ago, Felix Baumgartner leapt from the edge of space, breaking the speed of sound as he descended back into the Earth’s stratosphere. It was a pivotal moment in the history of mankind. 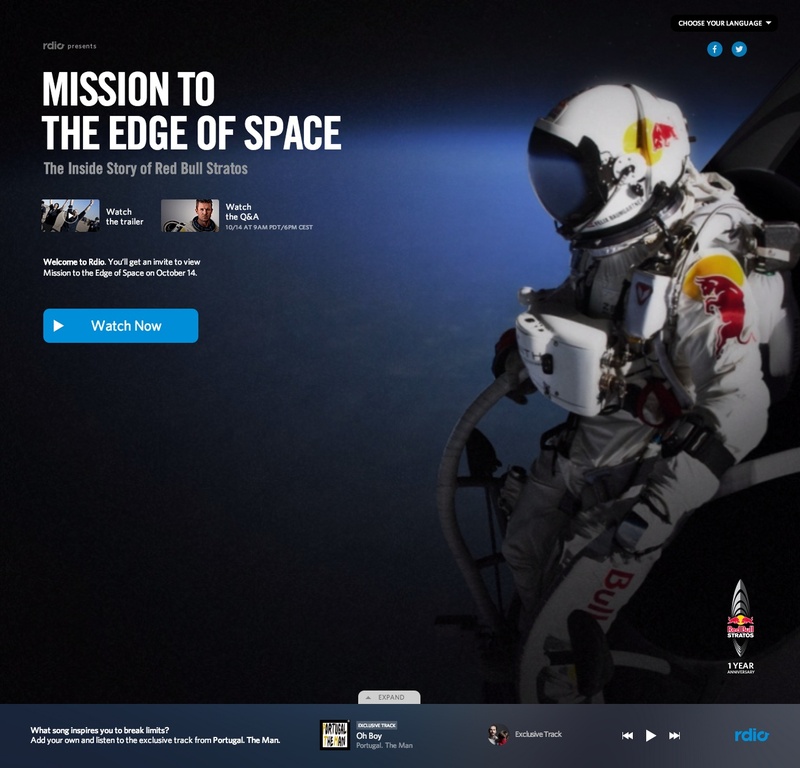 To celebrate the anniversary of this momentous event, Rdio is hosting a documentary by Red Bull Media House entitled ‘Mission to the Edge of Space: The Full Story Behind Red Bull Stratos‘. The feature includes new, behind-the-scenes footage offering a unique insight into Baumgartner’s breathtaking (and record-breaking) 128,000-foot sky dive. The two hour documentary is available right now on an Rdio-hosted microsite. You’ll need to sign up for a Rdio account, but it’s all completely free of charge. Other than rewatching the footage of the jump itself, we can’t think of a better way to celebrate Baumgartner’s achievement. Rdio’s decision to host the documentary in the first place is notable. Exclusive content is an effective way to drive subscriptions and brand recognition, but this is straight-up video, rather than anything music related. Would tying the documentary to Vdio not make more sense? Regardless, you can also check out a Felix Baumgartner-inspired Rdio playlist called ‘Mission to the Edge‘ using the playback controls and expandable track listing at the bottom of the microsite.